For soccer night owls, there's good news. For the rest of the month of January, there will be plenty of live soccer in the middle of the night as Australia hosts the 2015 AFC Asian Cup. The 2014 World Cup was a disaster for the Asian representatives Australia, Japan, Iran and South Korea -- three points, all from ties, in 12 games -- and the Asian Cup will be a chance for them to begin the rebuilding process. Group A: Australia, South Korea, Kuwait, Oman. Group B: Uzbekistan, China, Saudi Arabia, North Korea. Group C: Iran, Bahrain, UAE, Qatar. Group D: Japan, Palestine, Iraq, Jordan. Japan is the defending champion, having won its fourth Asian title four years ago in Qatar with a 1-0 overtime win over Australia. It replaced Italian Alberto Zaccheroni with Mexican Javier Aguirre after it managed just one point in three games in a group from which it was given a good chance of advancing. Hong Myung-Bo was also a World Cup casualty after South Korea crashed out in the first round and replaced by German Uli Stielike. Both Australia's Ange Postecoglou and Iran's Carlos Queiroz (assisted by American Dan Gaspar) kept their jobs. Uzbekistan, which reached the semifinals of the 2011 Asian Cup, joins Australia, Japan and Iran as the four group seeds. Palestine won the 2014 Asian Challenge Cup, a tournament for emerging teams, to qualify for the Asian Cup for the first time. Al-Fidaee, which opens against Japan, is the only first-time entrant. Israeli travel restrictions make it difficult for Palestinian players to train. FIFA recently pledged $1 million to help rebuild stadiums damaged in last year's Israel-Gaza conflict. Australia, Japan and South Korea all enter the tournament with a heavy presence of European-based players. That includes Japanese stars Keisuke Honda (AC Milan) and Shinji Kagawa (Borussia Dortmund) and Korean Son Heung-min (Bayer Leverkusen). Three-time champion Saudi Arabia features 2014 AFC Player of the Year Nasser Al-Shamrani, who will allowed to play despite being handed an eight-game from Asian Champions League for head-butting an Australian opponent while play for Al-Hilal in the final of the Asian Champions League. Khalfan Ibrahim, dubbed the Maradona of Qatar, will captain the 2022 World Cup hosts. Tim Cahill, who spent the last three seasons with the New York Red Bulls, will return for his third tournament with Australia since it joined the AFC from Oceania. The Columbus Crew's Justin Meram, born and raised in Michigan to Iraqi immigrants, has joined Iraq, the 2007 champion. 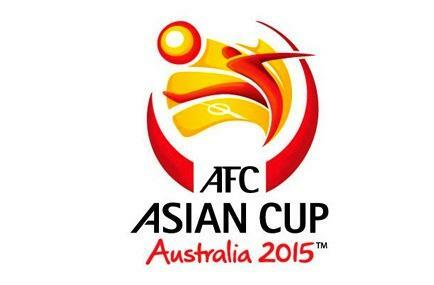 The Asian Cup kicks off Friday when host Australia plays Kuwait. The 16-team tournament will air on One World Sports.